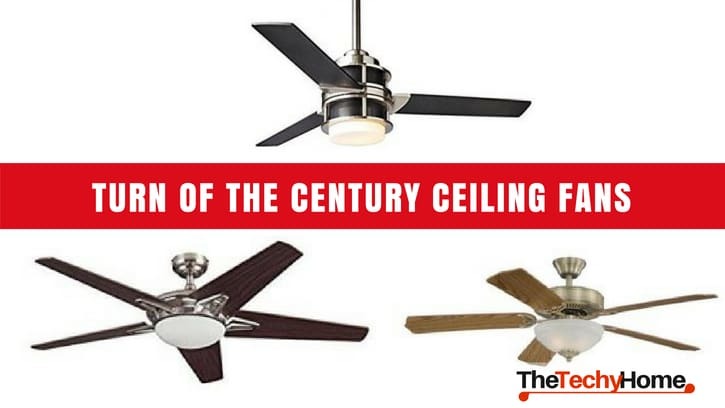 Turn of the Century ceiling fans are trending today because of their perfect cooling capacity and aesthetics. The company’s models range from simplistic to stylish, and from affordable to exclusive. This review will give you information on how easy it is to select, assemble, and mount the fans. These ceiling fans come in a number of classic colors and eye-catching designs to suit different tastes. Models with longer fan blades are available for larger rooms as well. The vertical rods also come in varying lengths. This is handy because ceilings of different houses have different heights. Among the Turn of the Century ceiling fans, the mini and hugger varieties are most suited for establishments that have small rooms, narrow passages, and low ceilings. The heavy-duty and larger fans are more suited for commercial establishments like offices, hospitals, industrial units, warehouses, etc. The hugger or orbit fans can be fixed flush with the ceiling. There is a plethora of choices as far as designs, colors, shades, and accessories are concerned. There is also a model that uses a dual mounting system so that the downward rod is not required. With so much choice, you will definitely find a Turn of the Century ceiling fan that blends with your home décor. If you want to combine utility, aesthetics, and comfort all in one, then the Turn of the Century ceiling fan with attached LED lighting in the center is a good choice. With just a click of the remote you can start the fan and put on the light at the same time. During the day time, you can set it so that only the fan will rotate but the light will not come one. This combination fan eliminates the need for additional light switches and fixtures. What To Consider Before Buying ? Who Makes Turn of the Century Ceiling Fans ? What Is Unique About These Fans ? The simplistic and sophisticated Apollo 52” is one of the most popular models of the Turn of the Century fans. It is available in a white shade called “alabaster glass” that has a unique oak finish. The reversible blades are 52” in length and generate a lot of breeze to span even a spacious living room. Being a neutral color, it matches most types of home furnishing, whether traditional or modernistic. This model has a strong, 3-speed motor that can be controlled easily with a remote to give the user a lot of airflow and a cool environment within the room. These fans come in different finishes so they blend in with the rest of the furniture. The integrated LED lighting gives a muted glow in the room, which can be brightened with the remote when necessary. If the glass cover of the LED lamp breaks, you can get replacement covers very easily. With Apollo 52” ceiling fan you have the option of choosing a fan with or without the light fitting. If you select the one with the attached light, then the remote will control the brightness of the light too because it has a dimmer option. You can also choose between the hugger (or flush) mounting or downward rod fitting when you purchase one of these ceiling fans. Although white-washed oak finish is a very classic color in ceiling fans, there is another chic color that is gaining popularity. Called “brushed nickel” the tint of the Midori ceiling fan is a class apart from the rest. The central bowl is the usual ivory white and the blades are brushed nickel. The two colors blend well with most types of furnishings. The package contains a pull chain so that the fan can be put on or off very easily even if it is mounted high. So if you want to invest in fan that is not white in color, the Midori ceiling fan is the best alternative. Just like the other brands in ceiling fans, this model too has two options for fan speed controls. You can select the remote control mode or even have a wall-mounted control fixture for the fan. With both these you can manipulate the fan speed as well as the brightness of the attached LED lamp (if you have opted for one). There is another choice in the brushed nickel shade that is equally popular. With 52” blade span, the Ashton ceiling fan is as good as the Midori. Its durable metal blades will cool even a very large room. The design combines style with utility, such that you can run it on three speeds with a click of the remote. With the remote the blades of the fan can be rotated in either clockwise or anti-clockwise direction depending on whether you want cool or warm air in the room. This model comes with an attached opal glass light fitting. For those who are picky about their décor, this is a good choice because its black-and-white matt finish will complement the tasteful furniture in your home. The glow is subdued and is perfect for an entertainment or television room. This is definitely meant for large rooms where the airflow needs to spread over a wider area. Unlike other models, this fan has 8 blades to give maximum circulation of air. You can choose from two shades color, Warm Cherry and Dark Elm. The blades are reversible, so in the severe winters you do not have to install air-conditioners. The Turn of the Century ceiling fan parts are designed so that the blades can be reversed to give warm air without increasing the utility bills. Besides utility, the fan also looks very sleek and attractive. The brightness of the attached LED light can be adjusted so that there is plenty of illumination even in the corners of the room. 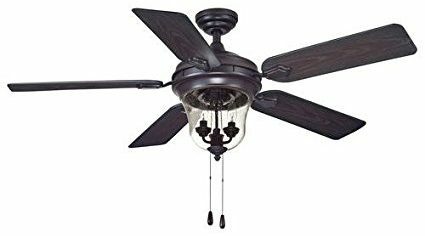 Most suited for a medium sized room, the Turn of the Century ceiling fan parts of this model ensure that you have both usefulness and beauty. The color itself is very classy. Combined with the inverted, dome-shaped, transparent glass attached lamp; and you have a classic piece of art. This is a piece that doesn’t just blend into the background. It clearly makes a fashion statement. The 52” blades generate sufficient airflow so that every person sitting around the room is comfortable. The reversible option is most useful when winter sets in and you need warm air instead of cool air flowing in the room. This model will catch everyone’s attention because of its unique lamp. Its 60-Watt bulbs will make the room look bright and cheerful even on a cold, snowy, winter night. The fan works at three speeds and can be monitored very easily with the remote. But the fan also has pull chains as an alternative in case the remote cannot be located quickly. Another unique feature of this fan is that the metal is treated with rust-proof paint. This fan can be fitted in porches where there is a possibility that it might be exposed to damp weather conditions. You do not have to worry about damage due to rust. Measure the height of the room’s ceiling. Now you know whether to buy a rod or whether to opt for a hugger mounting. If the room is large choose a fan that has 52” or 62” blades. If the room is compact then even a 19” hugger fan should be sufficient. A standard size room will normally require one of the 44” ceiling fans and these are available with LED lighting as well. Check whether the room has extra wall-mounted switches that can be connected to the fan. If not, you can opt for a ceiling fan that as an attached LED light fitting in the center. With the fans remote you can control both the movement of the fan as well as the light in the room. A larger room will require a fan that has longer blades. Also, it must have to capacity to run at a higher speed so that the airflow reaches even the farthest corners of the room. 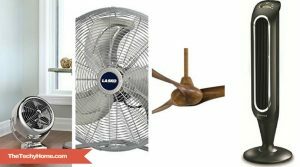 It is rightly said that there are Turn of the Century fans suitable for every space. These ceiling fans are very versatile in their functionality. They can be fitted outdoors as well; that is in verandahs, porches, outhouses, barns, backyards, etc. Let’s say you have renovated your dull backyard into a great BBQ space. If you want to party on a warm summer weekend, why not get a beautiful ceiling fan with LED lights, angled-mounting, and reversible blades fitted on the wall first. The guests will thank you for the cool breeze that they will enjoy while eating a delicious meal. 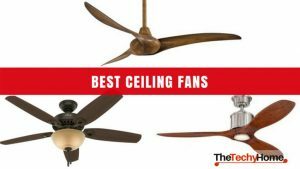 When you are in the process of selecting a good ceiling fan, you must read Turn of the Century ceiling fan reviews before finalizing one. If you know the different parts of the fan you will find it easy to install one. If you read about the different sizes and mountings available, you can make an informed choice and get the one that suits your room and budget too. 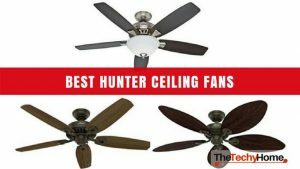 You may have read many Turn of the Century ceiling fan reviews but may still be wondering which ceiling fan to buy. Once you have read this review you will get a general idea of what you need depending on the size of the room in which you want to fix the fan. While buying one of the Turn of the Century ceiling fans, your choice will depend on many factors, like price, size, optional accessories, remote controlled option or pull chain, colored or white, etc. In the old days, ceiling fans were used only in the hot, tropical countries of Asia and in the Middle East. So most of the manufacturers were also based in either India, Hong Kong, China, Taiwan, or other Asian countries. But over the years, ceiling fans have gained popularity in the West, especially because these fans can cool or warm a room. 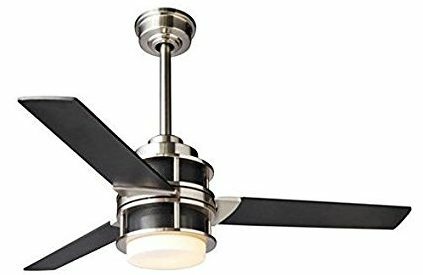 Some of the commons features of these ceiling fans are a high power motor, blades for airflow, kit for attaching the blades to the motor, and a remote control. Some models come with decorative LED light fittings. With some models you can choose either with or without light fittings. Either way, there is a wide selection of ceiling fans in different styles at varying prices. Today, who makes Turn of the Century ceiling fans? 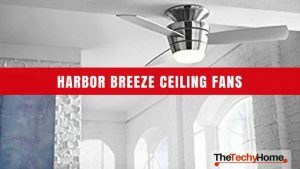 Turn of the Century® is a classy series of ceiling fans that is known for its quality craftsmanship and powerful fans motors.. They specialize in state-of-the-art ceiling fans for connoisseurs. Their products are a good combination of utility, comfort, and aesthetics so that even the fussy buyers will find something they like. So you can set your mind at rest and stop worrying about who makes Turn of the Century ceiling fans. 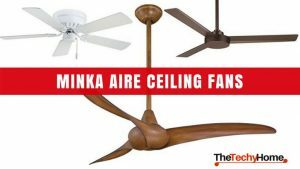 What makes the Turn of the Century ceiling fans a class apart is that they are the perfect replacement for air-conditioners, but at less than half the price. All Turn of the Century ceiling fans have reversible blades that can be controlled with a remote. With most of the brands, if the blades are pitched towards the right the airflow is downwards. Combined with high speed the cooling process is very fast, almost like that of an A.C. If the blades are pitched to the left the airflow is upwards, so the air does not cool too fast but maintains a warm temperature. This is most convenient when the outside temperatures suddenly dip in the autumn and winter.